Superb Simsbury First Floor Master nestled on a corner lot w/ an abundance of lovely landscaping! 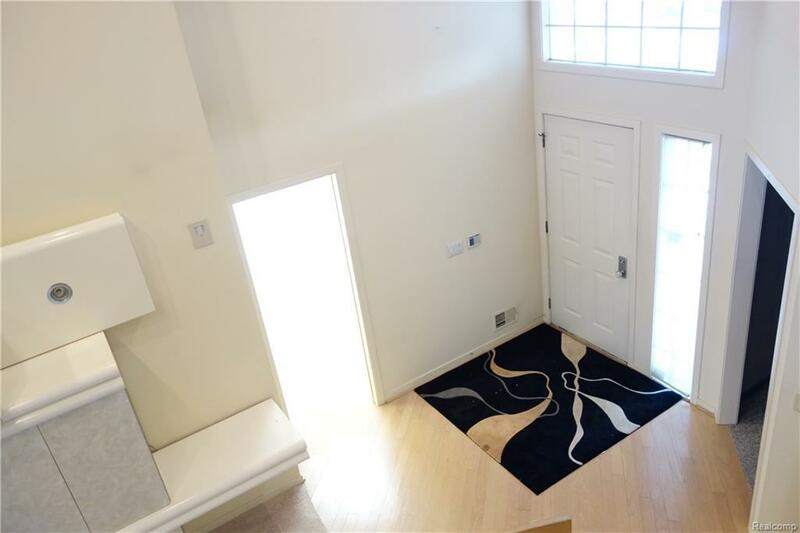 Call this Condo...Home with a few finishing touches to make it your own! 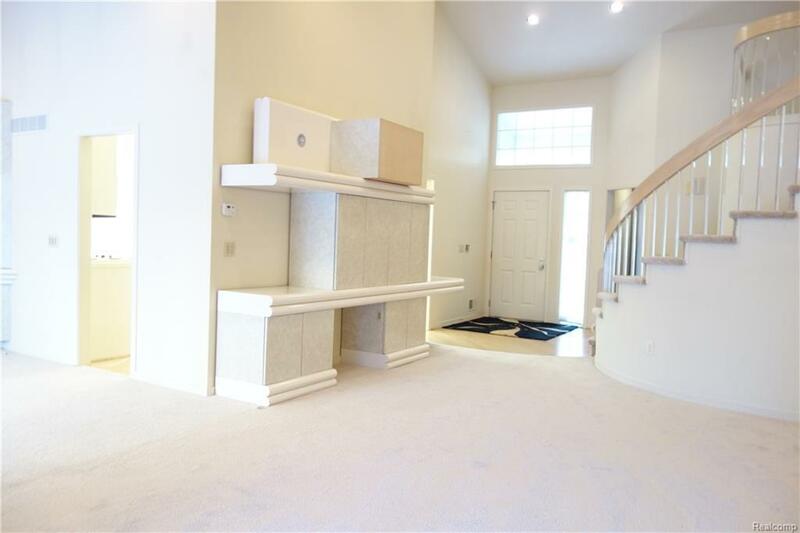 Impress guests as soon as they walk through the two story Foyer w/ spacious open floor plan. 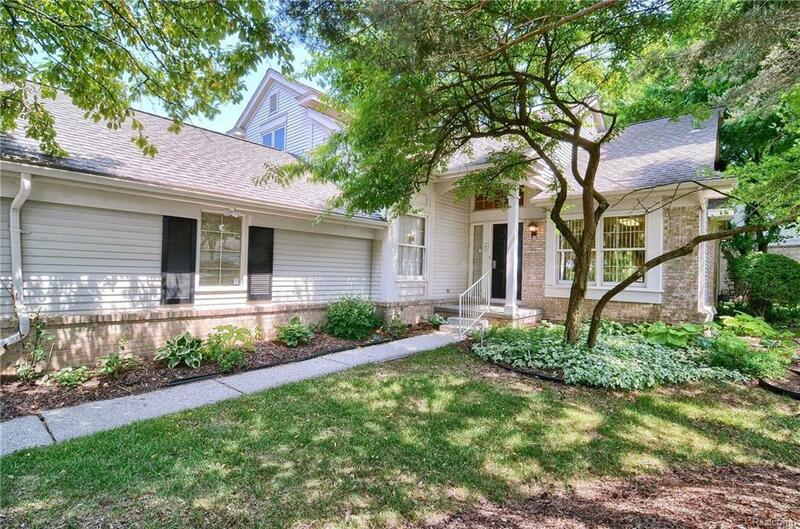 Move to the charming Livingrm/Diningrm w/ vaulted ceiling, built-ins & done in neutral decor. Condo has just had new neutral carpet install and Kitchen painted. The focal point is the gas fireplace & wall of windows overlooking private gardens.Kitchen is open & bright w/ island, breakfast nook, cabinets to ceiling, subzero refrig - all appliances stay. Relax in the cozy Den in grey tones w/ built-in wall unit. 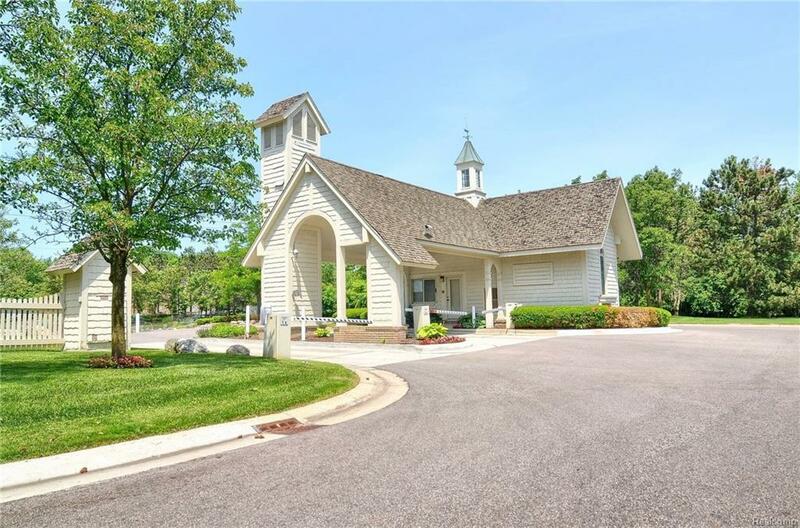 Retreat to the master suite w/ vaulted ceiling, WIC's, full bath w/ soaking tub, wall unit w/ sink which would be great breakfast bar to enjoy your morning coffee. Two bedrooms upstairs - one w/ balcony & hall bath. First floor laundry & mudroom. Assoc: water, trash, snow removal, lawn car, exterior & roof maintenance. IDX provided courtesy of Realcomp II Ltd., via Kw Domain and Realcomp, ©2019 Realcomp II Ltd. Shareholders. Copyright 2019 Realcomp II Ltd. Shareholders. Real estate listings held by brokerages other than RE/MAX Classic are marked with the Realcomp-approved IDX logo and are provided through IDX through Realcomp II Ltd. IDX information is provided exclusively for the consumers' personal, non-commercial use and may not be used for any purpose other than to identify prospective properties consumers may be interested in purchasing. Any use of search facilities of data on the site, other than by a consumer looking to purchase real estate, is prohibited. The accuracy of all information, regardless of source, is not guaranteed or warranted. All information should be independently verified. Data last updated: 2019-04-24T19:56:41.42.